You've all seen ads for various fast food joints where the food looks SOOOO GOOD it makes your mouth water. Reality doesn't always live up to the advertising however. Here are a few comparisons. 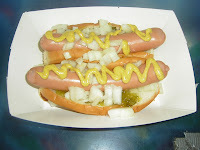 BE HUNGRY, BE AUTHENTIC, GET REAL, HAVE A HOT DOG!! That's great - you could hold a competition for adverts Vs reality, prize for the most outrageous rip-off!! It's your fault I'm hungry. I blame you. 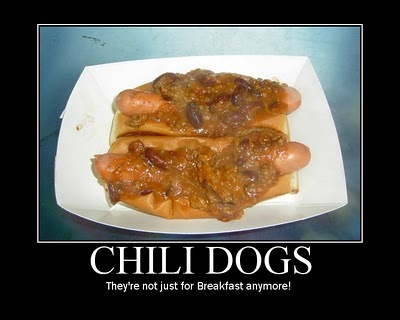 by the way, your hot dogs look better than most hot dogs i've had taste... i can't imagine what yours taste like! That KFC thing looks worse than my dog's bowl, probably tastes worse too. Your dogs look pretty good but 3000 mi away is too far to tell. Herew nationals for at home, Top Dog in Berkeley CA for my favorite, the calabrisi - mmmmmmm.